However, one of the key questions that any impact or outcomes reporting should answer is "so what?" - what difference has achieving this reduction, or engaging that number of people, made? But within the context of impact reporting, I think the "so what?" question also needs to be extended to be framed as "compared to what?". If an enterprise reports that it's reduced carbon emissions by 10%, is that good or bad? It might compare itself to its performance last year, but that's not really that objective or honest of a measure - it's surely only when we can compare that 10% to what comparable enterprises have been able to achieve that we can fully appreciate if that's a score to be scoffed at, or to be applauded. 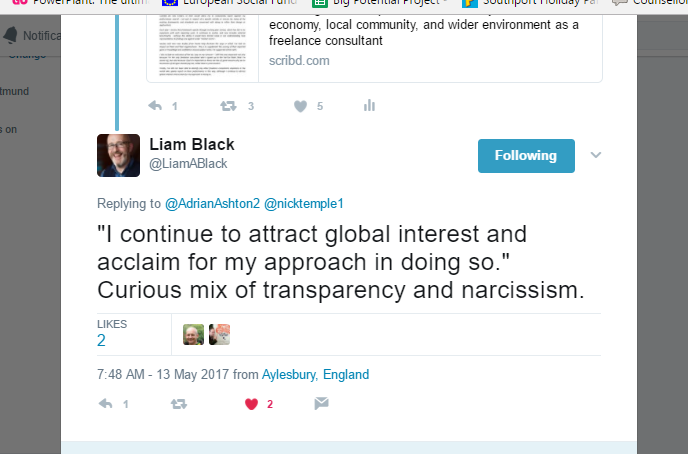 And yet, how many social impact reports seek to reference any external benchmarks or comparisons in presenting their findings? As ever, I'm not one to suggest something without being willing to try it myself - so this year I've sought to source external benchmarks against my own social impact reporting framework. 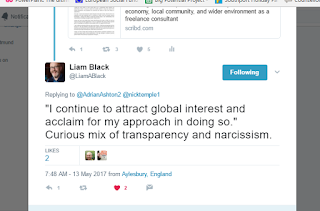 And I wanted to see what people thought about this before blogging about it, so published the report via twitter, and various LinkedIN groups, sat back, and waited for a week or two, before sitting down to draft this reflection. And what the wider world seems to think based on engagements and comments to the post about the report is that while my doing an impact report on myself is a good idea, no-one really engaged or picked up on the fact that I'm starting to benchmark it externally to see if what seems to be a 'good' figure is really good, or if its outstanding instead. And while it's not perfect by any means (kudos to Liam Black for keeping me grounded as ever with it via his latest tweet), it's surely a start in furthering the conversation and encouragements for things like this to become more commonplace and therefore useful in helping us make better informed decisions about how we're approaching trying to make the changes in the community / society / world we seek to? not just for a Sunday..? While I've never been an 'in your face' type of person when it comes to my personal faith and beliefs, I've never made a secret of them (one of my first ever blogs talked about how I try and reflect my faith in how I approach my work with clients). 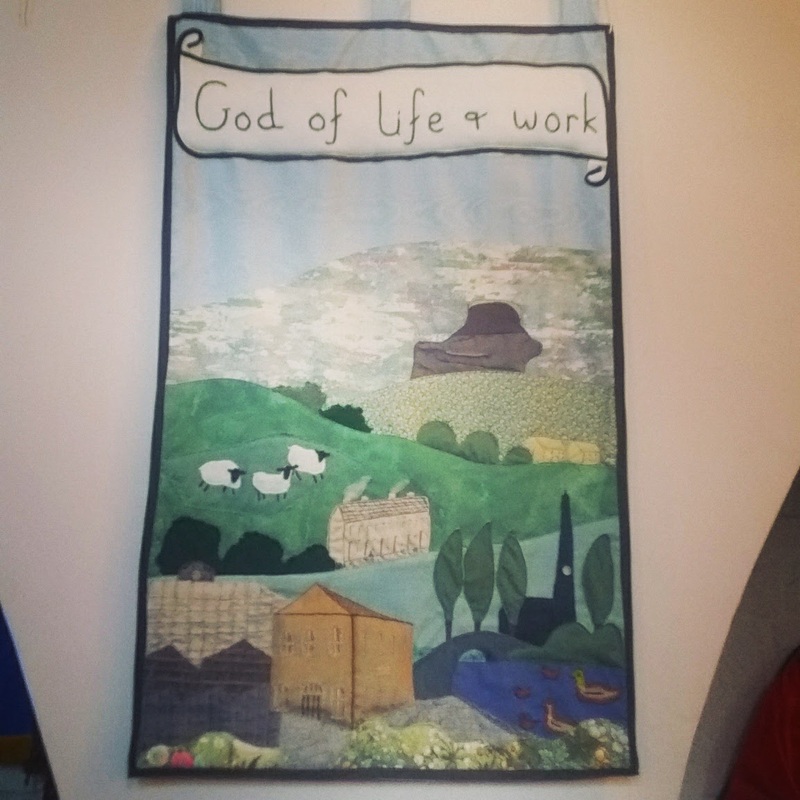 However, I was inspired to take this pic of a wall hanging at St Peters Church in Walsden, where I recently attending their service as the guest of my oldest son who attends there regularly. 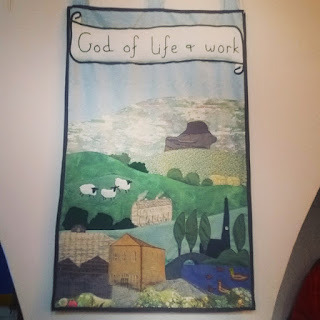 And then I shared it on my various social media channels as it's very rare that I see such examples of an explicit recognition and encouragement of how God is present in all things - not just the Sundays, or in the 'green and pleasant lands'... As such, I wanted to celebrate this, and social media seemed the easiest way to do that. all of which seems to suggest to me that as a community of businesses, entrepreneurs, and freelancers we're also hungry to explore how we better connect our faith and belief with our work. maybe social investment isn't that different after all..? 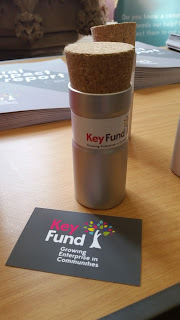 I was able to make it along to this year's "Working Capital" conference that was recently staged in Sheffield - a day to immerse myself in reflecting, arguing, sharing, and further exploring the wonderful world of 'social investment'. The day offered a range of perspectives and stories: Cliff Prior of Big Society Capital stating openly what many are starting to whisper in hushed tones - social enterprise should be moving more towards retail and consumer markets because public commissioners are very tough nuts to either crack, or to change their behaviours; and Hazel Blears encouraging those same commissioners to do more to learn from each other to progress the social value act (but in doing seemingly having forgotten previous national initiatives over the last 20 odd years that were designed to do just that...). most of the specialist lenders to social enterprise make it difficult for the sector to borrow from them because they usually have repayment terms of only 5 years maximum. But in the private sector its not uncommon to 'refinance' a loan - it can often be hard to get a loan because you've no history of repaying debts; but once you start to, you can flip your loan to another lender on better terms... So what's to stop social enterprises getting what seem initially expensive loans in comparison with the high street banks who see them as being too risky, showing they can manage repayments, and then transfer the loan to their high street bank on better terms? as a general movement, social investment seems to be a little bit too 'introspective' for my liking: NESTA undertake regular national surveys of social and alternative finance, which no-one referenced today. Without understanding how different 'flavours' of social finance compare to other finance types in how widely they're being used, how can we hope to make a best informed decision about where we should be investing our time in pursuing investment? But but in all, a good day to reflect, see some friendly and familiar faces, and hopefully the start of most other enterprises' journeys into investment that will ultimately help them create bigger and better impacts on, and for, their respective communities.